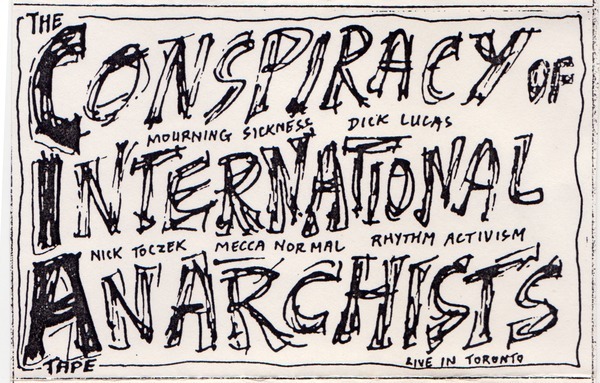 A protest song about Mike Harris by the Toronto-based punk band The Fallout. 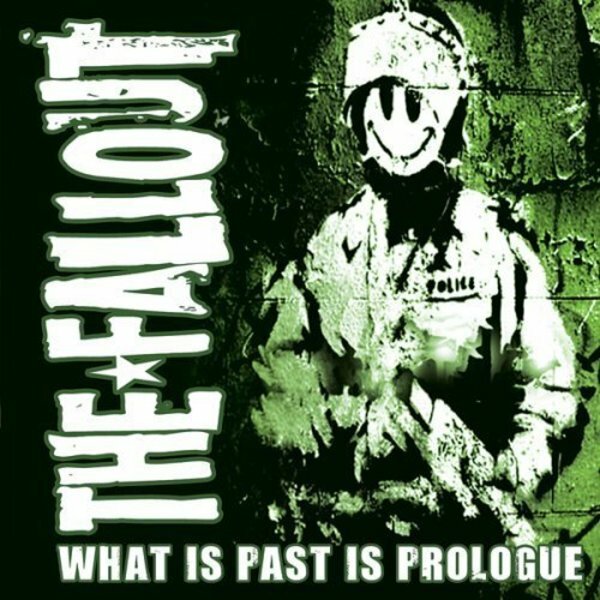 From their 2005 album What Is Past Is Prologue. 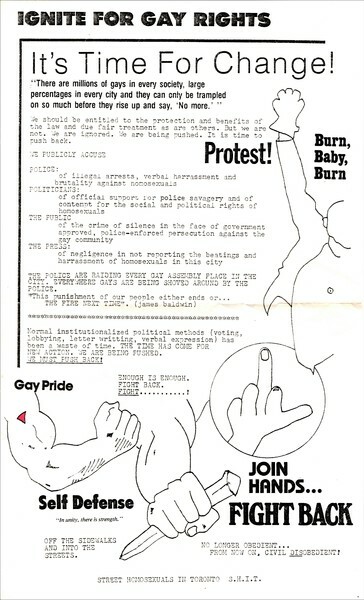 Ignite for Gay Rights: It's Time for Change! 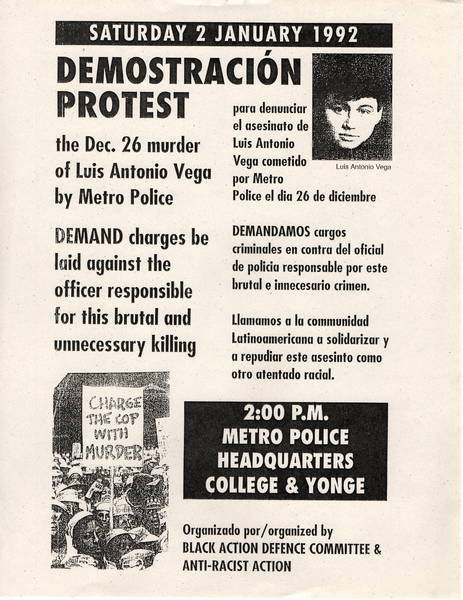 Poster for an anti-police brutality protest in response to the killing of Luis Antonio Vega by Metro Police. 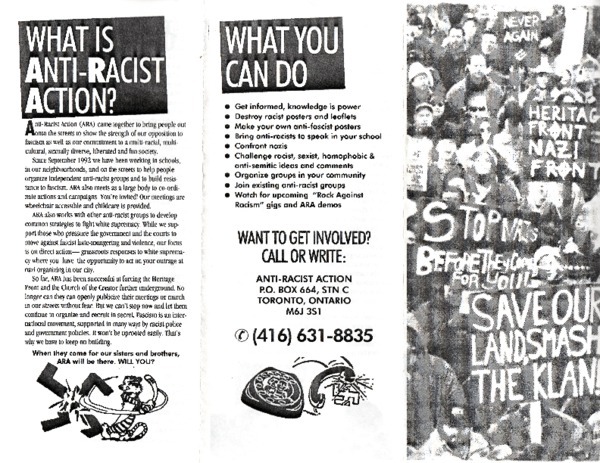 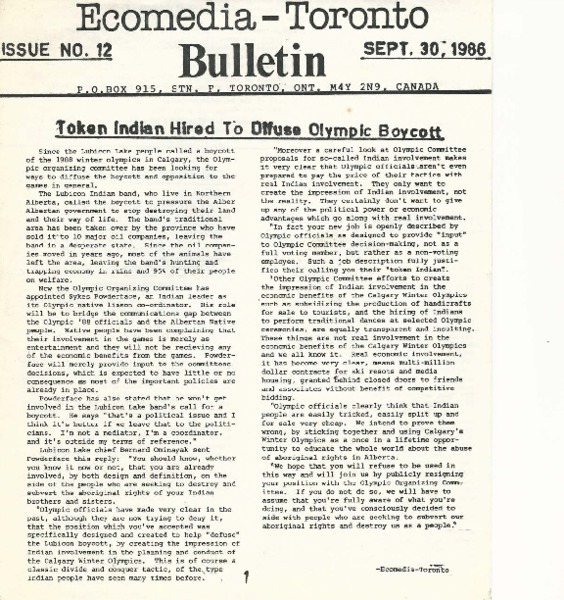 An Anti-Racist Action Toronto pamphlet explaining what the ARA is, past actions by the group, as well as a background on racist activity in Toronto. 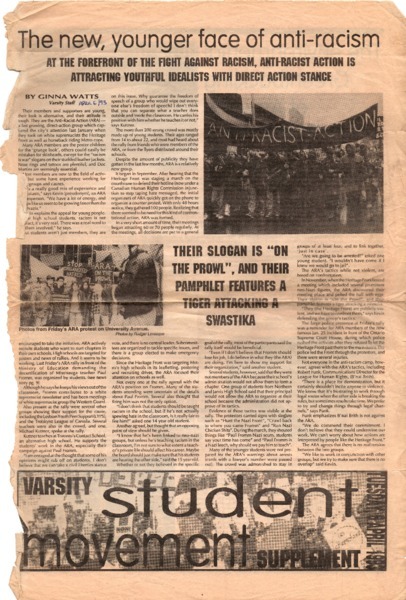 An article from The Varsity written by Ginna Watts about the Anti-Racist Action. 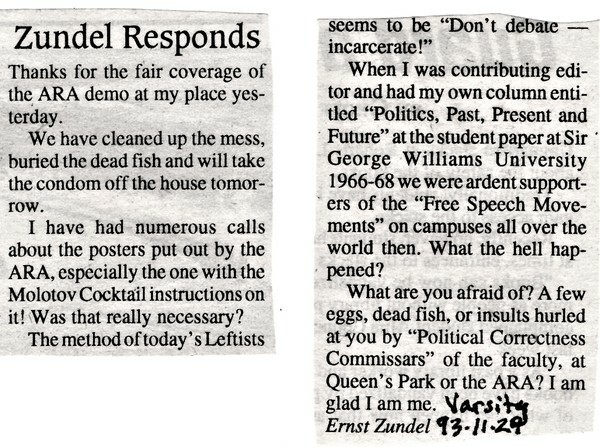 A clipping from The Varsity of Ernst Zundel's response to their coverage of the November 24, 1993 demonstrations at his house. 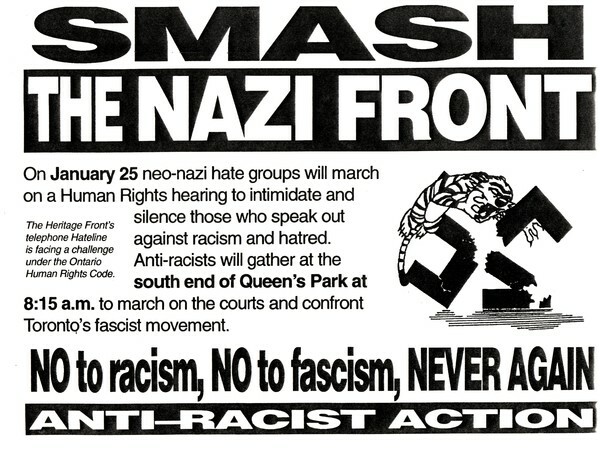 An Anti-Racist Action poster for a demonstration at Queen's Park. 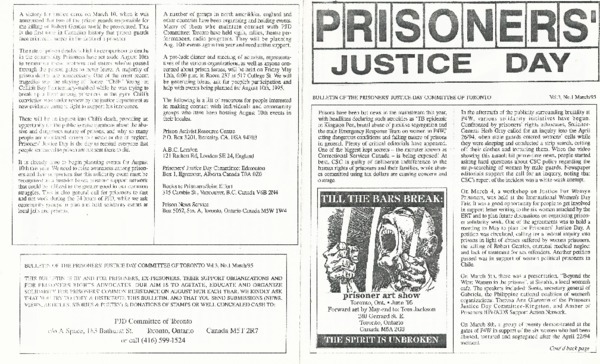 Was also distributed as a handbill. 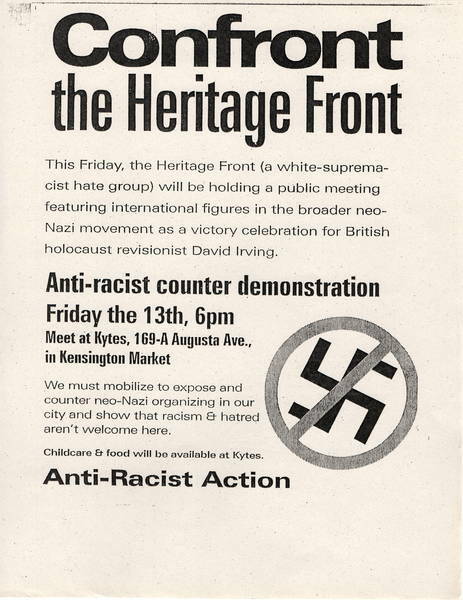 A poster detailing a counter-demonstration against a meeting held by the racist hate group the Heritage Front. 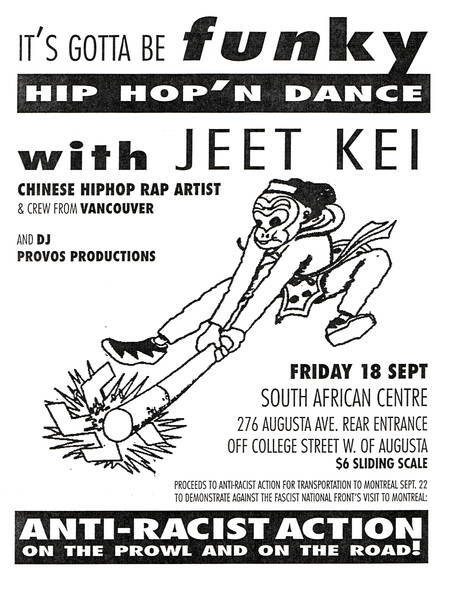 Poster for an Anti-Racist Action benefit show at the South African Centre, featuring rapper Jeet Kei from Vancouver. 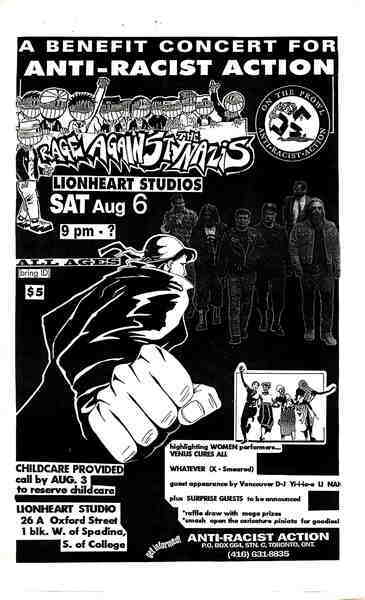 A poster for an Anti-Racist Action benefit show at Lionheart Studios on August 6, 1994 highlighting women performers Venus Cures All and Whatever. 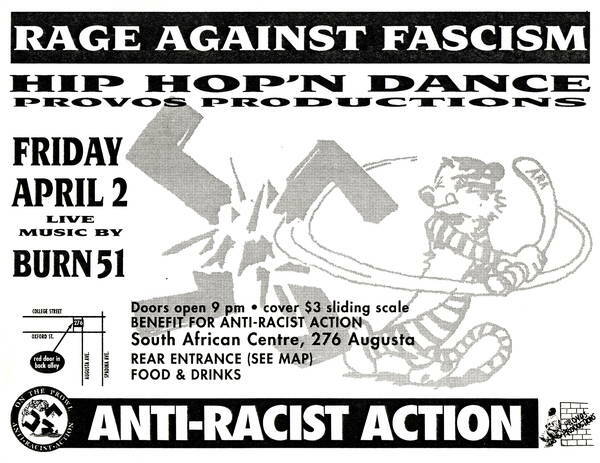 Promotion for a Rock Against Racism show at the South African Centre in Toronto. 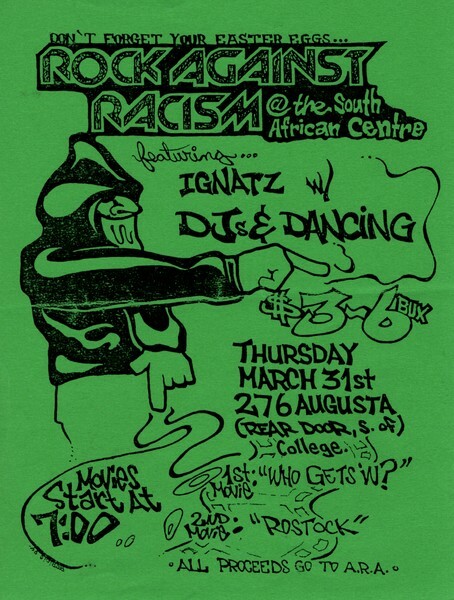 Featuring Ignatz with DJs and dancing, as well as film screenings. 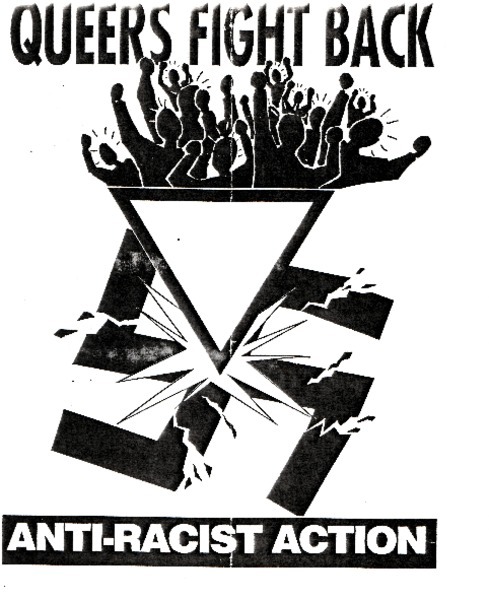 Poster for a protest and picket against two downtown shops in 1994. 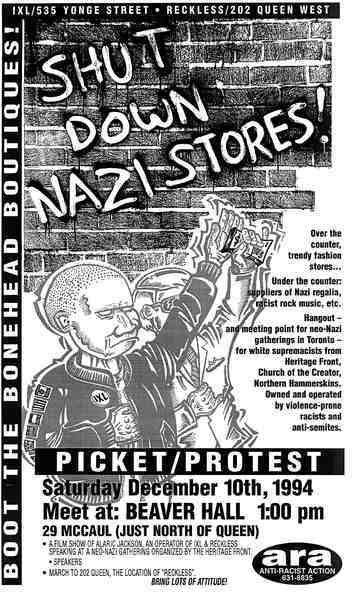 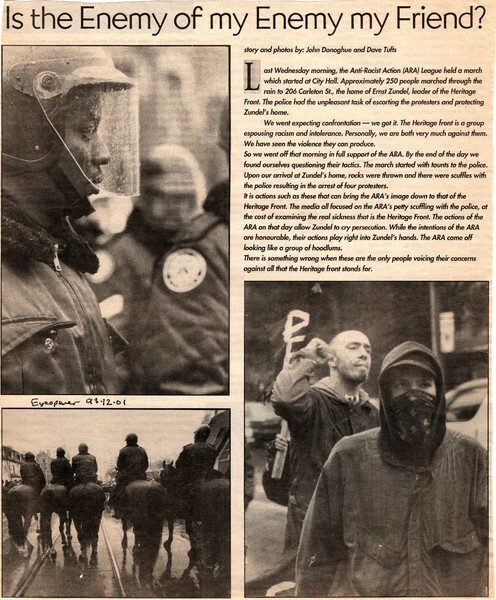 An article from The Eyeopener covering the November 24, 1993 protest against Ernst Zundel at 206 Carlton Street. 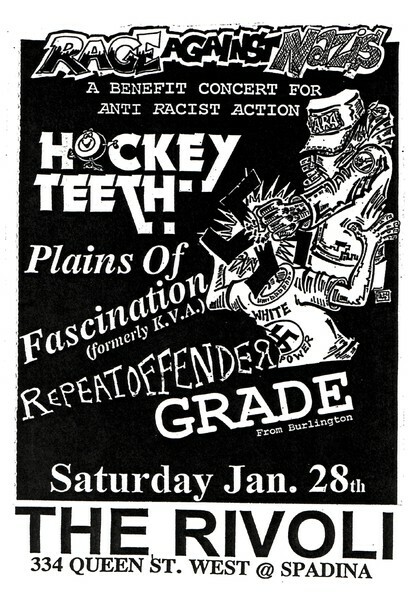 A show flyer for a Rage Against Nazis benefit for the Anti-Racist Action featuring Grade, Hockey Teeth and others held at the Rivoli.